Objective: Redesign BringFido's poor user interface. 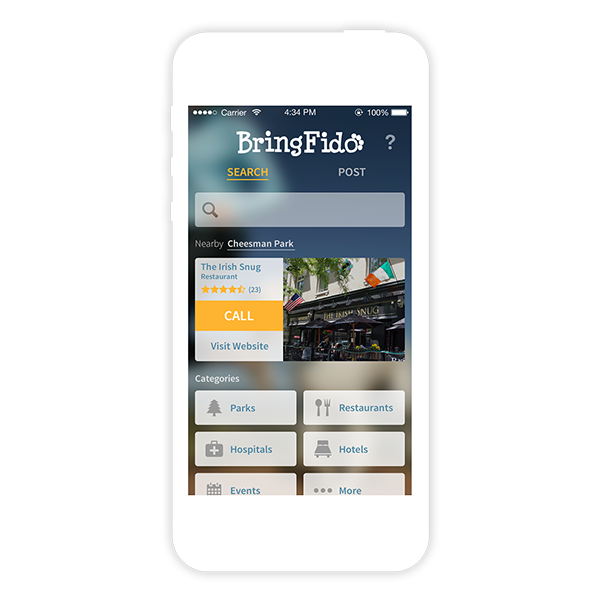 Solution: BringFido is basically a Yelp-like service for dog-owners. As a passion project, I chose to create a quick refresh of BringFido's interface. Objective: Design Golf Galaxy's website for a Mobile-specific layout. 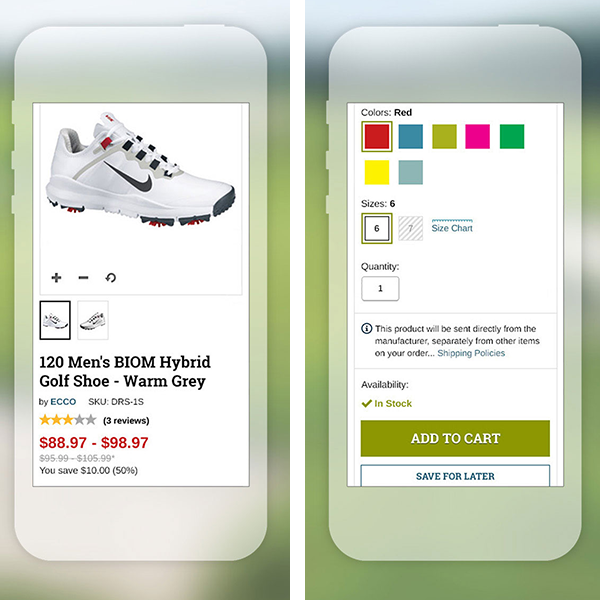 Solution: It was Golf Galaxy's decision to move forward with a mobile-specific design, so it was my challenge to take all of the elements of their desktop site and design a mobile-friendly layout. Objective: Create a brand new design for the David's Bridal responsive website. Solution: David's Bridal required a high-end, minimalist look-and-feel for their new responsive website. We presented six designs to the client, and they ultimately chose my design to move forward. As a team of designers, we collaborated and designed the entire David's Bridal website, while maintaining consistent styles through a style guide managed on Dropbox. 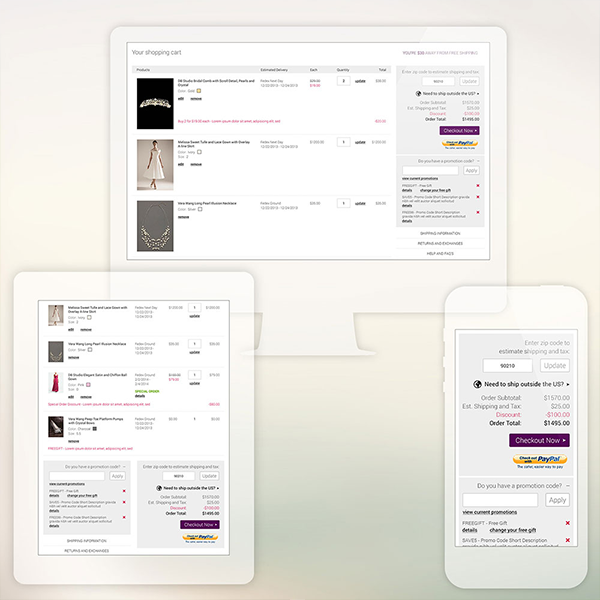 (Left) One challenge of mine during this project, was to create the entire cart and checkout flow across Desktop, Tablet, and Mobile breakpoints.